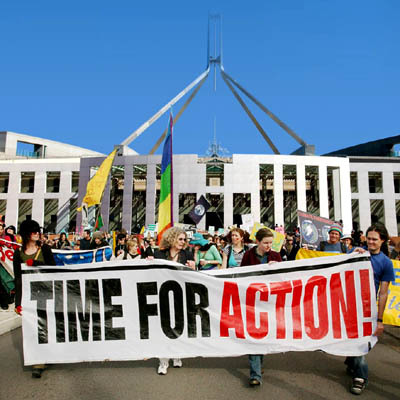 A powerful articulation of how both major Australian political parties have failed us on climate action over the last 25 years by Marc Hudson. Also relevant is Joan Staples 2009 article Our lost history of climate change. This seemed, in the short term, to satisfy both the green groups and the coal lobby - the ACF, Greenpeace and the Australian Coal Association all endorsed the new policy. Kelly flew to Geneva and was still in charge of her portfolio by the time of the Rio conference. There, the Toronto target was tweaked to call for stabilisation of emissions at 1990 levels (rather than 1988) by 2000. Marc will be on hand for an Author Q&A between 4 and 5pm AEDT on Friday, October 9, 2015. Post your questions in the comments section at the original article (see link below).